Now that the holiday is over we can get back to business with high stamina and low desire to stop. 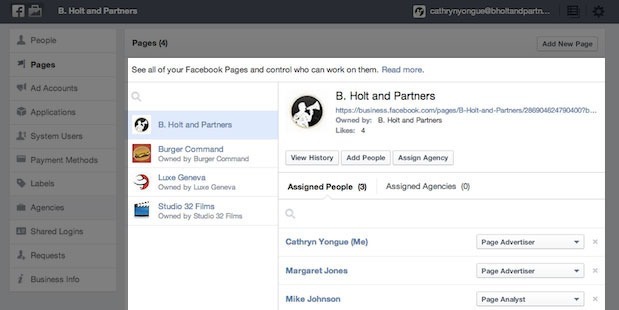 And so the big news this week is that Facebook presented its new Business Manager for entrepreneurs and marketers meant to ease up the work on different ad campaigns and even multiple pages from one account, a well received feature. Another feature of it, is that allows tasks for different users on the same project by adding or revoking permissions. In order to use Business Manager you have to first set up your account, which makes you a so called ‘a business ad man’ – a position in which you can modify all aspects of the business. Another new feature is that you can assign tasks even to people who are not your Facebook friends and you don’t know anymore that a work email. Even though it seems like a very well intended tool TechCrunch tends to point out that it is a bit of a reachout for Facebook. Even considering this, the ability for small business owners, who don’t have big budgets, to be successful on Facebook will directly correlate to their ability to quickly manage their pages, content, and ads to drive engagement. We can only hope that Facebook continues releasing tools that make it easy for small businesses (not just fortune 500 brands) to have success on the platform. This entry was posted in News and tagged ADVERTISING, business, Facebook, marketing, tool on April 30, 2014 by Bogdan Balcan.